Here at Snyder Insurance, we understand that you are more than just a policy or an account number. 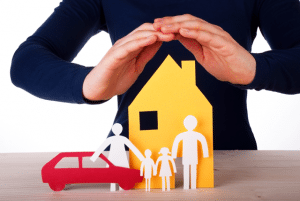 Insurance is important, so you need to know the insurance policy basics in order to make sure your family and your possessions are covered by the right type and level of coverage. You will want to have access to an insurance plan that is tailored to meet the needs of your life, and that will change as your life and family needs change. We won’t treat you like a number because we know you are so much more. You are a name, you are a face, you have your own story, you have your own needs, and you have your own unique set of requirements for your insurance company. At Snyder Insurance, we are proud to be seen as the family friendly insurance company that people trust with all of their needs. Call us today to get started, and to get the insurance policy that is customized for you and your unique wants and needs. If you need help understanding insurance policies in your area, give us a call. The reason why we are known and trusted throughout the local area for the best insurance choices available is that we make understanding insurance policy basics easy and stress-free for all of our customers! Snyder Insurance takes your perspective and individual needs into account and finds you the best options at an affordable price. And we’re here to answer your questions on our blog or by calling (630) 960-4848.